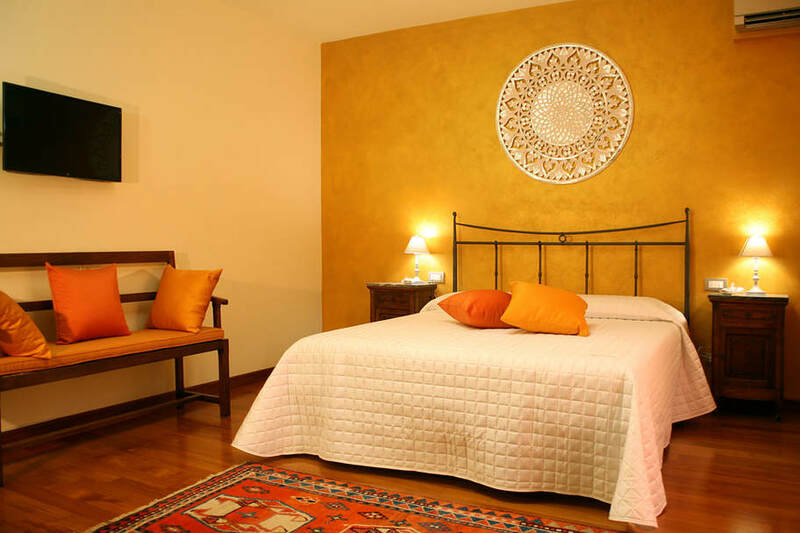 Each room is different and unique in style e decor. 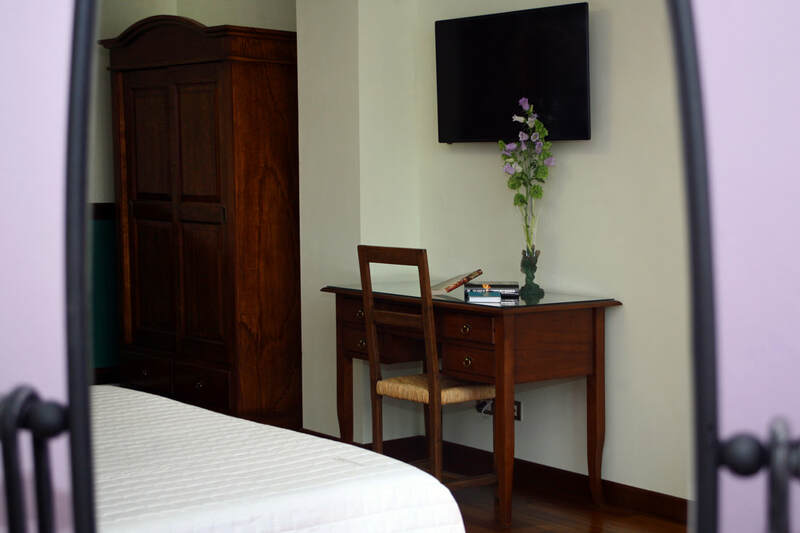 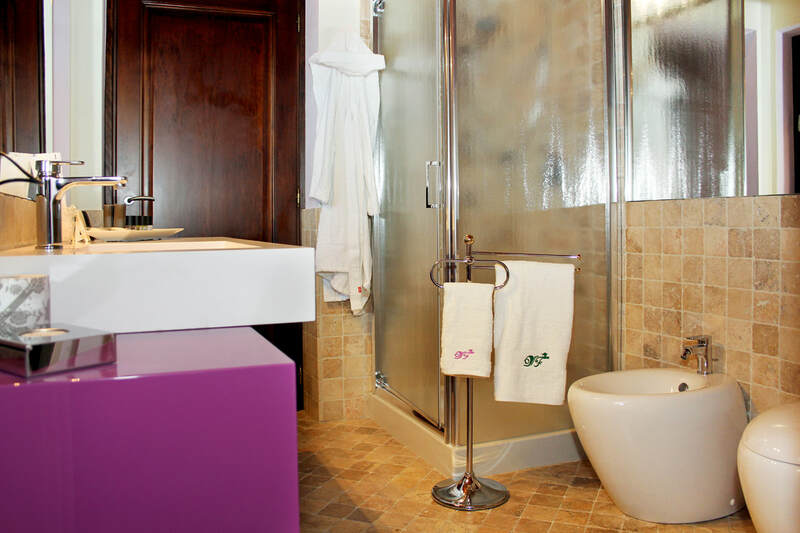 All rooms have a flat screen tv with satellite channels, conditioned air and a private bathroom with hair dryer. 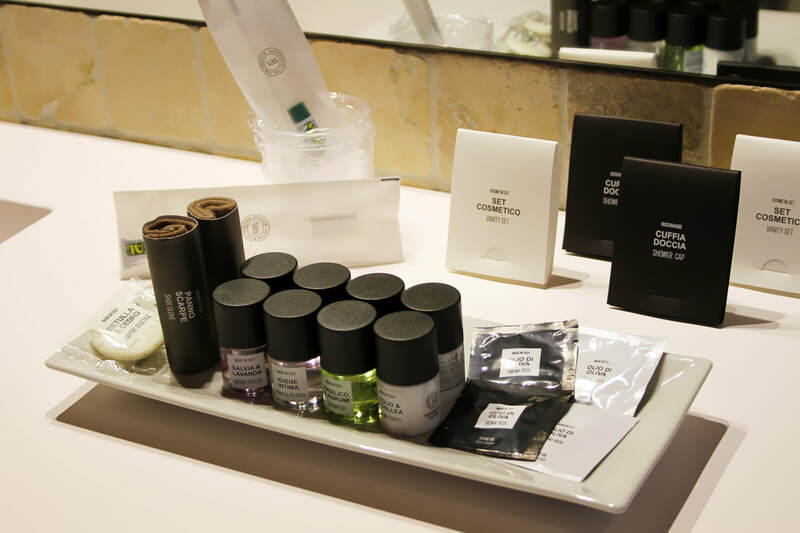 The courtesy kit is rich and full. 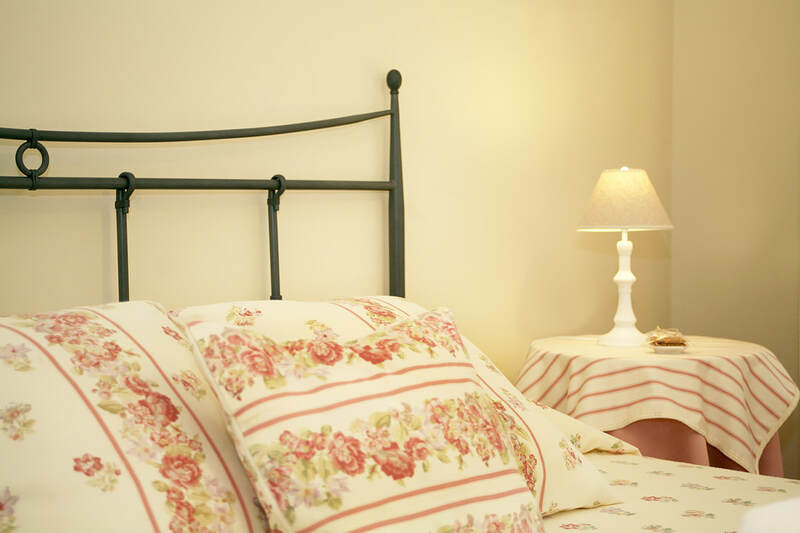 The bedding is from the family trousseau. 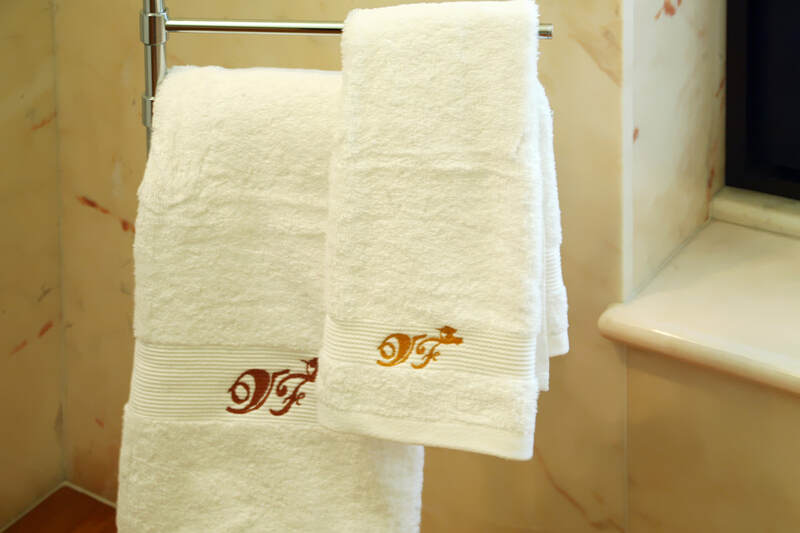 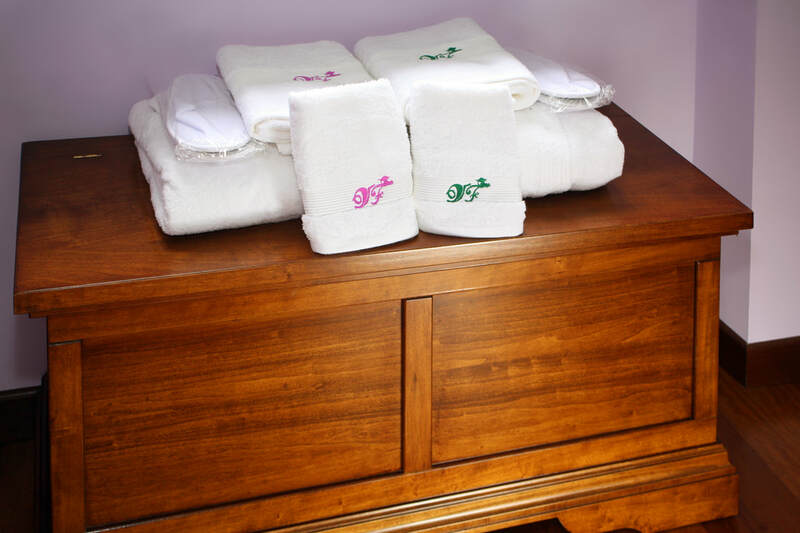 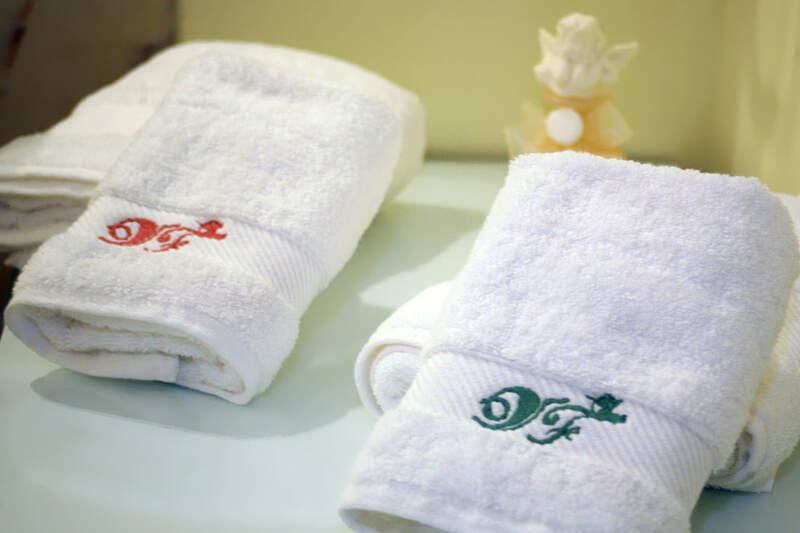 The towels are embroidered in different colours. 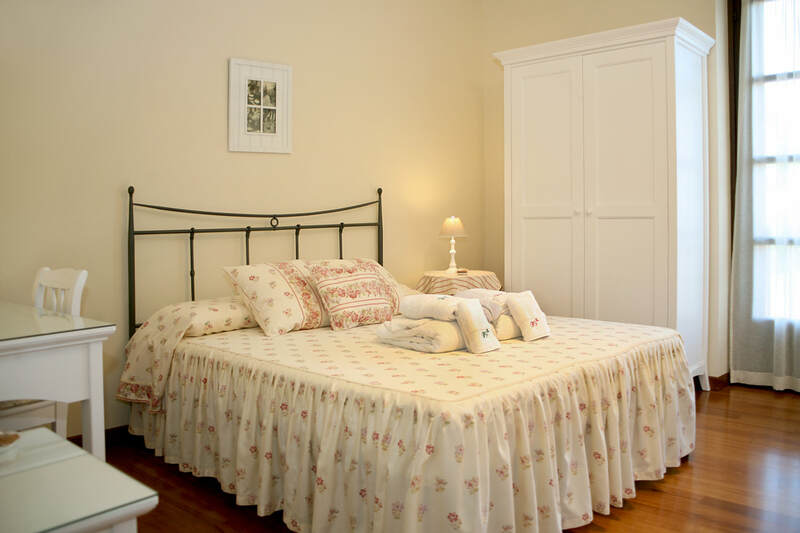 Double room, it’s possible to have an additional single bed. 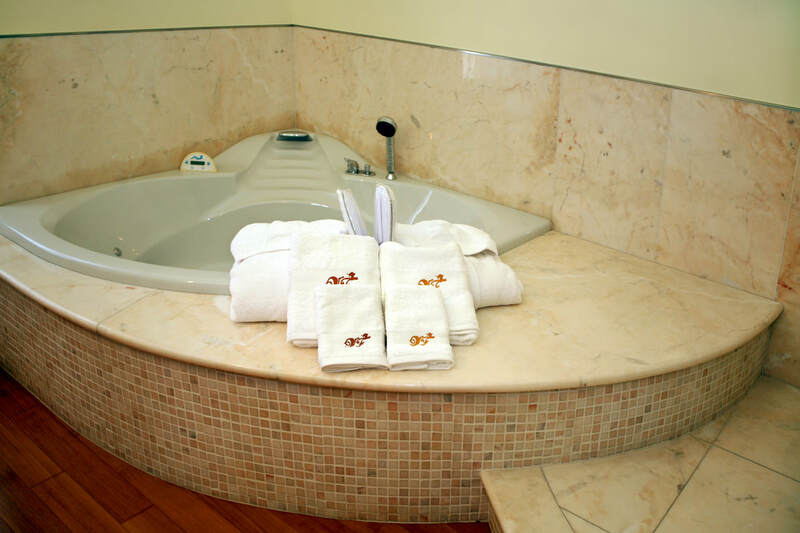 In the marble bathroom you find a hot tub. 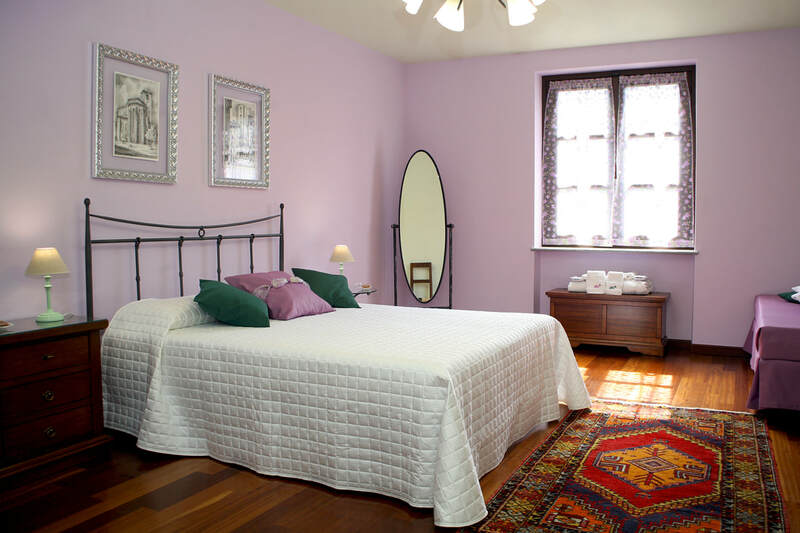 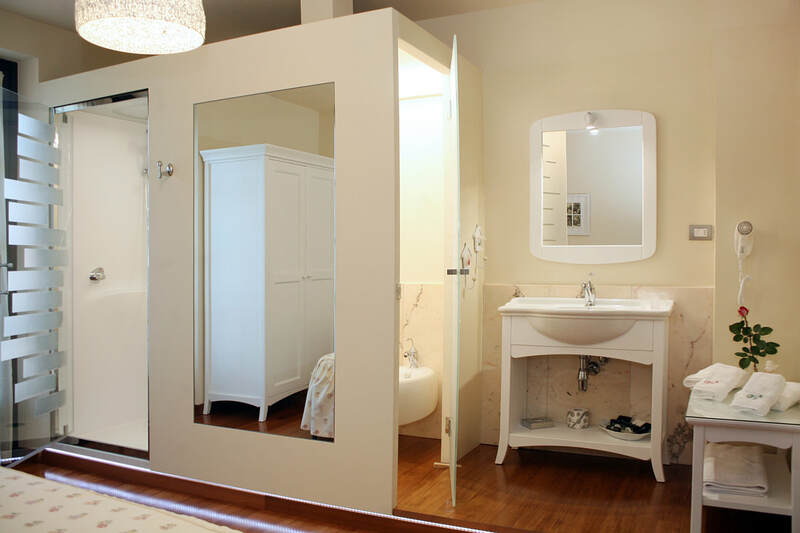 It consists of a spacious bedroom, where it’s possible to add one or two single beds. 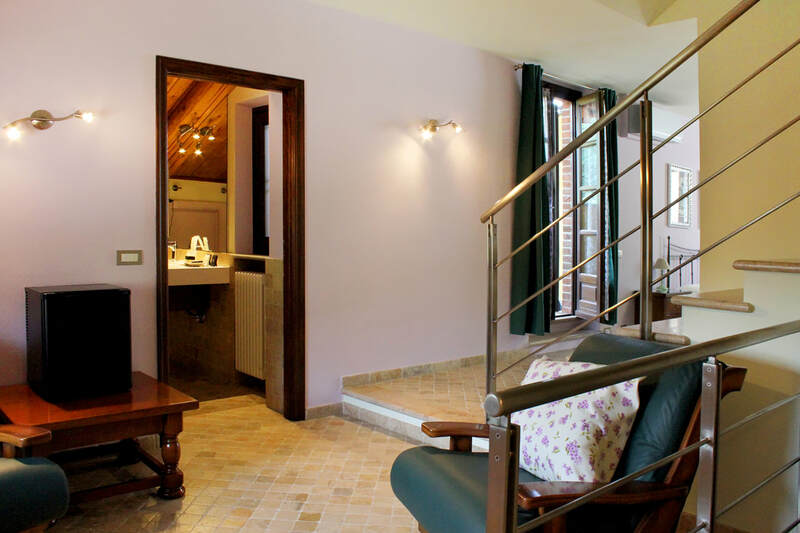 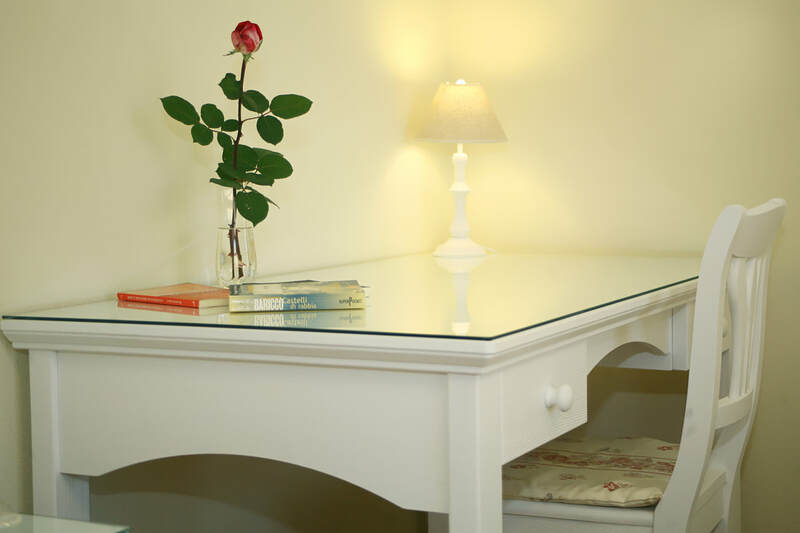 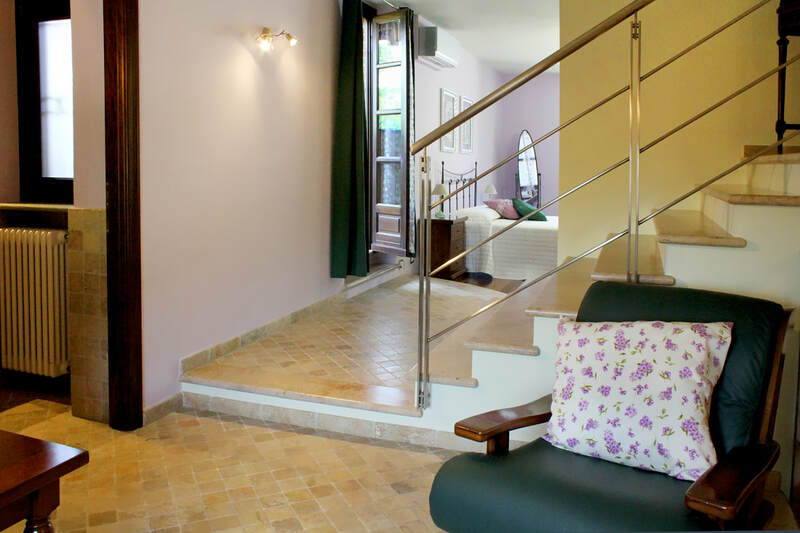 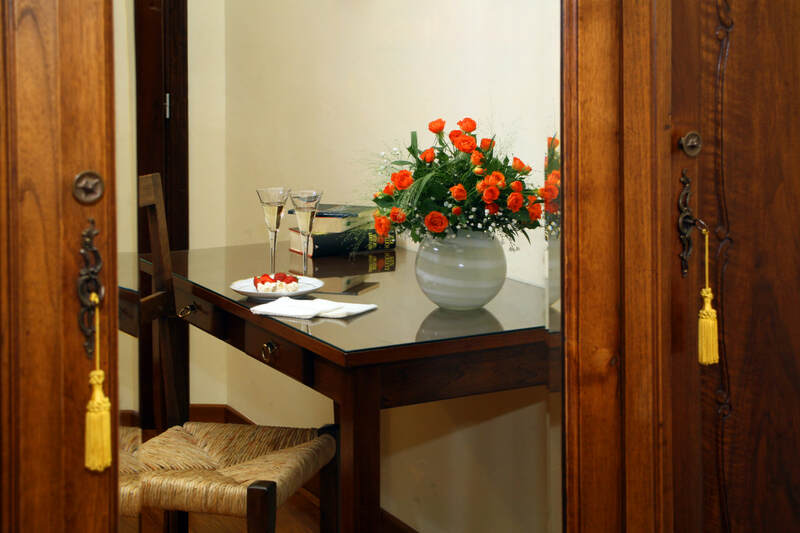 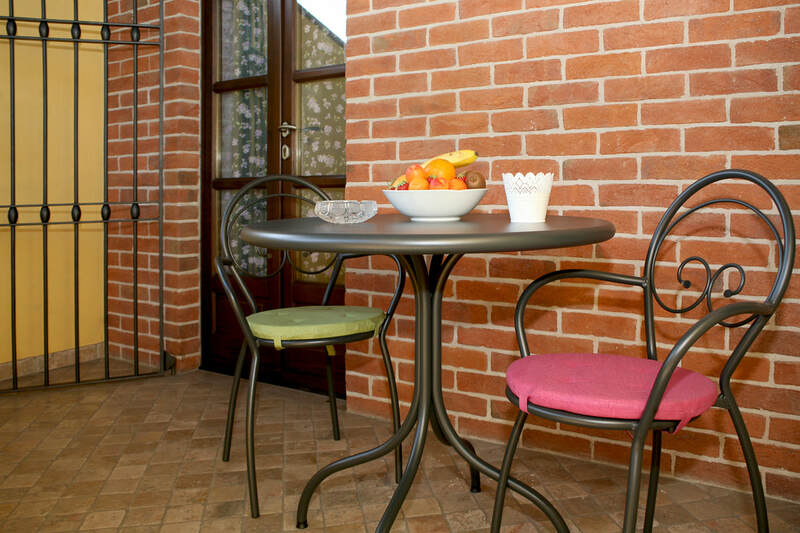 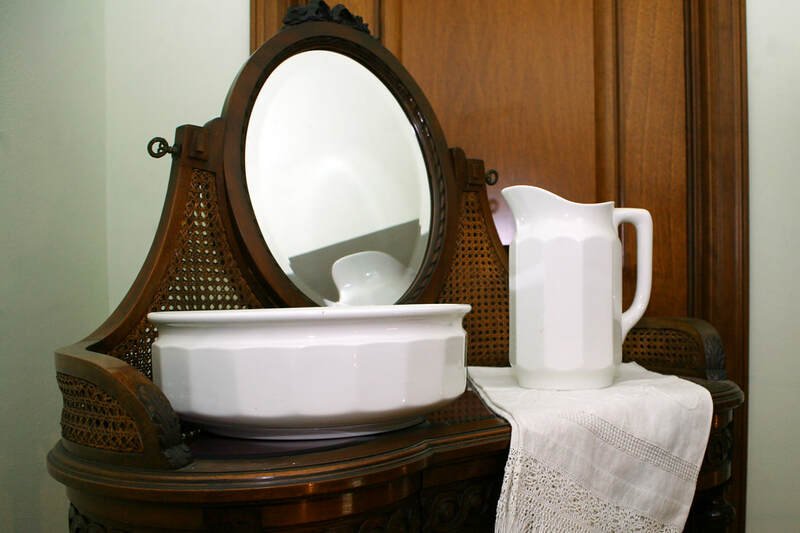 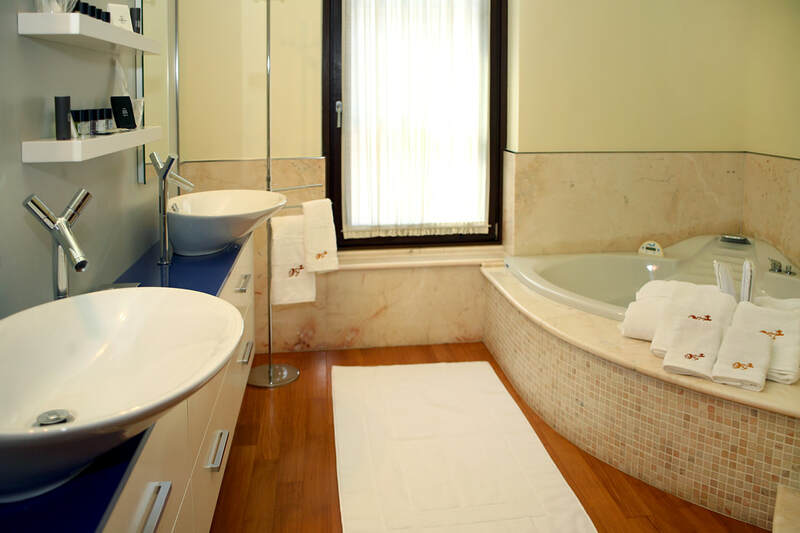 There is also a sitting room with a minibar, a bathroom with a shower and a terrace overlooking the garden.